The Center for Biological Diversity included this image of the Tinian monarch in its April 12, 2018, complaint against the U.S. Fish and Wildlife Service. (CN) – The Trump administration declined Tuesday to extend federal protections to 13 rare species of wildlife. The decision alarmed wildlife conservationists who said many of these species will continue to decline in population or may even be lost entirely. One species is already extinct. The U.S. Fish and Wildlife Service said in proposed regulations set to be published in the Federal Register that it reached its decision after a 12-month review of petitions to extend protections. “We must look beyond the mere exposure of the species to the stressor to determine whether the species responds to the stressor in a way that causes actual impacts to the species,” the agency said in its advisory, adding it would continue to review public comment on the matter. The agency said that in its review of the Cedar Keys mole skink, a small lizard found on islands off Florida’s Nature Coast, it determined threats to the lizard’s habitat “are not of sufficient imminence, intensity, or magnitude” to warrant protections. Noah Greenwald of the Center for Biological Diversity said in a statement that the mole skink and MacGillivray’s seaside sparrow, another species that was denied protections, will lose much of their habitats to sea-level rise caused by climate change. Greenwald called the denials “shocking,” even as former oil lobbyist David Bernhardt replaces Ryan Zinke as head of the Interior Department, Fish and Wildlife’s parent department. “By denying lifesaving protections to 13 species at once, the Trump administration is trumpeting its extreme contempt for imperiled wildlife,” Greenwald said. The Endangered Species Act, signed in 1973 to protect certain plants and animals from harm and extinction, requires decisions about species protection be made within two years. But conservations say that on average it takes Fish and Wildlife 12 years to reach decisions. The agency said it denied protections to the Ozark pyrg snail – first identified as needing protection in 1991 and last seen in 1997 – because it became extinct while waiting for protection. The snail – the 47th species to become extinct while waiting for protection – once lived in the North Fork White River in Arkansas, where water quality is affected by local livestock, land clearing and gravel dredging. The 13 species denied protections Tuesday face varying levels of threat, depending on their environment. But for some, scientific evidence clearly outlines the need for protection. The San Joaquin Valley giant flower-loving fly has lost seven of eight of its known populations and faces threats from sand mining and other development. 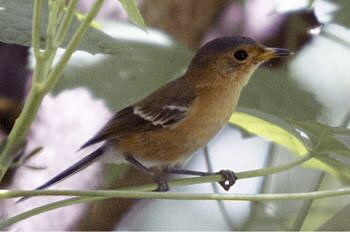 The Tinian monarch, a songbird, is threatened with development by the U.S. military and recently lost much of its habitat to Supertyphoon Yutu, the center said in statement. The Trump administration is now behind on decisions regarding lifesaving protections for 60 species. The other wildlife species denied potentially lifesaving protections on Tuesday are the Florida sandhill crane, Fremont County rockcress, Frisco buckwheat, Ostler’s peppergrass, Frisco clover, pale blue-eyed grass, striped newt, and Tippecanoe darter.